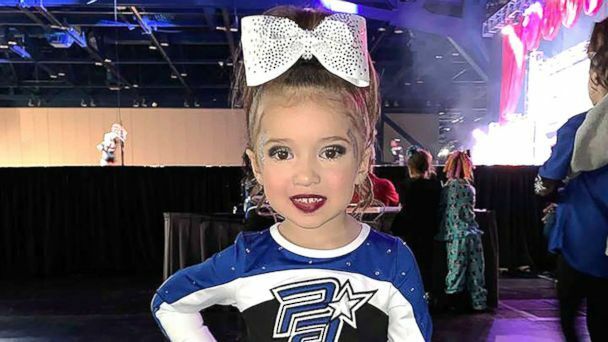 A pint-sized cheerleader is delighting 2.7 million viewers and counting with her epic stunts and undeniable cuteness. Kynzee Bryan, 4, showed off her moves in a Facebook video recorded by her big sister at the Prodigy All-Stars gym in Cypress, Texas. In the footage, Kynzee can be seen pulling off cheerleading stunts that are well beyond her years, including a full twist. "Things people say to Kynzee is, 'Wow' -- that's probably the first thing that comes out of their mouths," Kynzee's coach, Johnny Piggee told "Good Morning America." "Most people are in awe and when she's not doing cheerleading people say, 'Oh my gosh, look how cute she is.'" "Her skills are one thing, but her personality with the skills is another," he said. 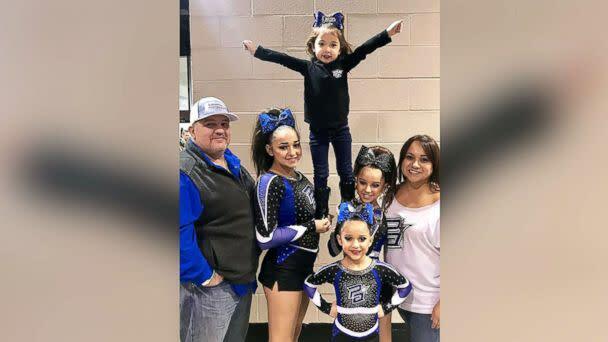 Kynzee’s Mom, Gina Bryan, told "GMA" that Kynzee has shown an interest in cheer since she was 2; following in the footsteps of her three older siblings, Kellee, 6, Kendall, 11 and Kaytlynn, 15, who are also Prodigy All-Star cheerleaders. As Kynzee got older, she began pulling off high-level skills, Bryan said. "Kynzee actually thought she was famous before this even happened," Bryan joked. "She doesn't truly understand [the viral video], but people are noticing who she is around here...it's kind of cool." Bryan said her daughter belongs to a team named Denim, and she'll be able to compete when she turns 5. Piggee said he hopes to continue coaching Kinzee as she grows. "I still see her being the child prodigy that she is, just shining, shining, shining," he added.